The subtropical reef fauna of Japan is filled with a number of splendiferous species which typically command a hefty price in the aquarium world… Centropyge interrupta, Chaetodon daedalma, Cirrhilabrus lanceolatus, Tosanoides flavofasciatus. 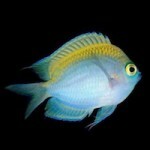 The list goes on and on, and now there’s an exciting new entry to this endemic fauna, Chromis katoi. 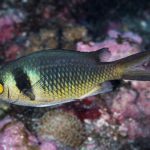 This species has actually been known to divers for more than twenty years, though it has at times been confused with some of the other Chromis found in Japan. Juveniles of this new species are bright yellow, but then so are a couple others in the region (C. yamakawai, C. albicauda). Mature specimens eventually degrade into a duller brown coloration, with just the faintest trace of its youthful vibrance found lingering on in the caudal fin. 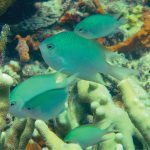 Of course, drably colored Chromis are legion, making identification of the adults considerably more challenging. Breeding males turn darker still, almost black, and devleop a lightly colored patch of scales along the nape. 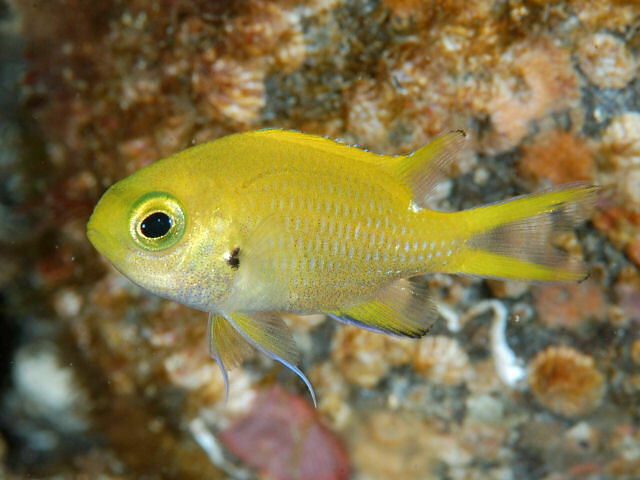 Chromis katoi is a close relative of another damselfish you’ve probably never heard of—the Pearl-spot Chromis, AKA the Japanese Puller (C. notata)—but juveniles are far less yellow in that species, and the caudal fin of the adults is much darker. 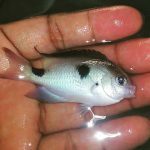 Throughout life, C. katoi has a small white spot below the dorsal fin, useful for identifying it from its congeners. Kato’s Chromis has a small distribution, being known from popular dive sites like Osezaki, Sagami Bay, Tanabe Bay, and Hachijojima in the Izu Islands, the latter of which being the type locality. 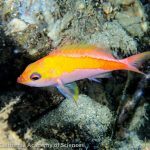 The species is named for a Mr. Kato of Regulus Diving, who you might recognize from another interesting Japanese species, Cirrhilabrus katoi. Both were described from the deeper waters of Hachijojima thanks to Mr. Kato’s efforts. 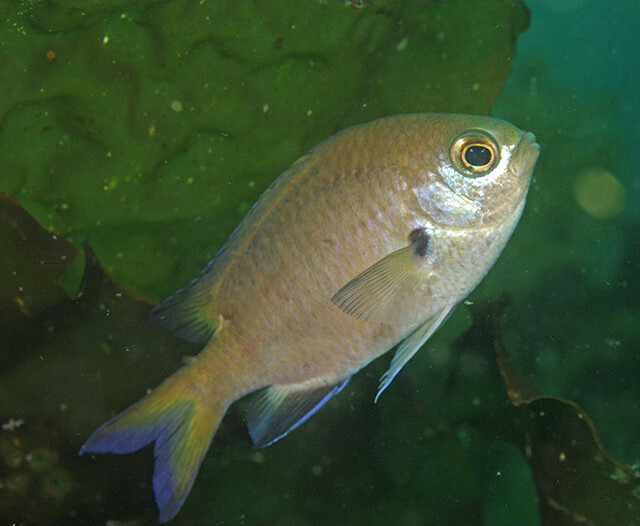 Iwatsubo, H. & Motomura, H. (2018) Chromis katoi, a new species of damselfish from the Izu Islands, Japan, with a key to species in the Chromis notata species complex (Perciforms: Pomacentridae). aqua, International Journal of Ichthyology, 24 (1): 27-34.